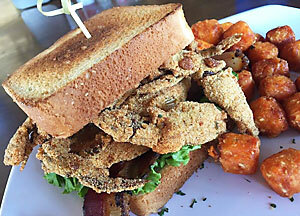 The Hidden Treasure Restaurants Family WELCOMES YOU to our premier waterfront location in Flagler Beach! 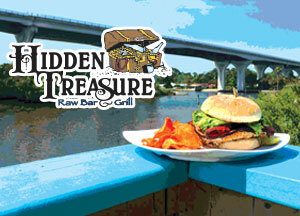 Hidden Treasure Raw Bar & Grill is located on the Intracoastal Waterway under the Highway 100 bridge. You’ll find various indoor and outdoor dining and entertainment areas perfectly suited for you to enjoy drinks, great food, relaxing and having fun with family and friends! Our monthly entertainment calendar includes live music, special events, comedy shows and concerts. Guests return regularly for our one-of-a-kind offering of water sports and indoor and outdoor dining and bars. Enjoy your favorite tunes from yesterday and today. Check our calendar to see who's playing tonight! Went to Daytona in July and this was by far my favorite memory. Great food and entertainment. Can't wait to go back. Wish we had one of these in my home town.